Six outdoor courts being rehabilitated in 2019. The town boasts 78 public courts in 32 parks, with seven locations offering evening play. Search the Outdoor Courts map for locations and court details. Pickleball lines are painted in yellow on multi-lined courts. Please visit our Park Listings page for park locations. 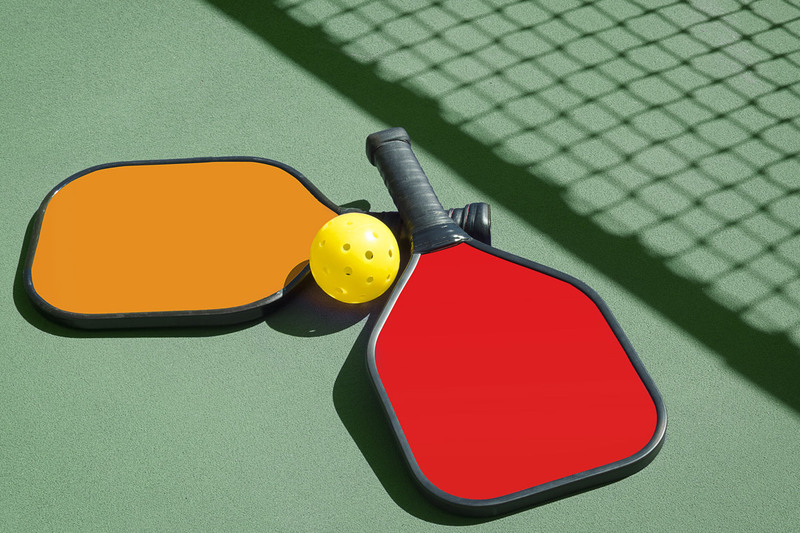 Image of pickleball paddles and ball on the ground. The town offers 15 outdoor basketball courts for residents to enjoy. Search the Basketball Courts map for locations and court details.